Give it a deep clean. A clean home is more appealing to buyers. A deep clean. You’ll want to scrub the floors, walls, windows and major appliances, like your stove. Home buyers do look in refrigerators, cabinets and closets, so you’ll want to clean those, too. Watch out for pet odors and stains — that’s a big turnoff for home buyers. De-clutter and organize. Your real estate agent may suggest you remove a portion of your furniture and belongings to a storage unit while your home is listed for sale. Too much ‘stuff’ can make your home look smaller than it really is. If you have children, packing some of their belongings away now will help reduce the number of toys you have to clean up each time prospective buyers comes through. Consider reducing the number of personal effects in your home, such as family portraits. Potential buyer want to be able to visualize themselves in your home and that can be hard to do with family portraits lining the hallway. Spruce up your yard. Put away winter decor, and give the front door and outdoor entry a thorough cleaning. 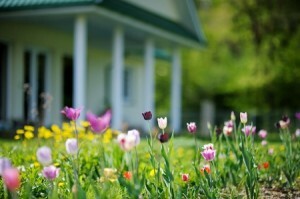 Consider planting flowers in any bare spots or putting a new pot of flowers or welcome mat by the front door. A springtime wreath on the front door may be a nice touch, too. Should you take the additional step of doing any painting? If it’s been a long time since you have painted your home, or you have a variety of bright colors throughout your home, it may be time for a coat of a neutral color. A fresh coat of paint can make your home’s interior look like new. Even if you decide not to paint, though, make sure your walls are clean. A Magic Eraser cleaning tool can help get rid of stubborn smudges and hand prints and can make your walls look much better. Are you thinking about purchasing a home in the future? Here are three important steps to take now to get yourself ready. Supercharge your savings. You’ll need to save money for your down payment and closing costs and you’ll need to have some money in reserve after you buy. While there are many low-downpayment home loan options available, the more you can save now, the better. Check your credit report and score. With all the security breaches that have occurred in the past year, it’s a good idea to check your credit report. For a free copy of your credit report, go to AnnualCreditReport.com. Each credit-reporting agency is required under federal law to provide consumers with one free credit report annually. Keep an eye out for any errors. For your credit score, go to MyFico.com. Your credit score is a three-digit number designed to reflect the quality of your credit. Visit with a lender. Before you start your home search, you’ll want to get pre-approved for a home loan. That way, you’ll know how much home you can afford and you’ll be able to start making offers on homes in your price range. Once you have your financing lined up, it’s time to find a real estate agent who can help you find the best home for you and your family. It’s estimated that 88 percent of all buyers purchased their home through an agent. The advice and assistance of a knowledgeable real estate agent can be invaluable in the home-buying process. PITI. This acronym is short for principal, interest, taxes and insurance. These four things combined will make up all or most of your monthly housing payment. Closing costs. These are costs associated with the transfer of a property from one owner to another. Closing costs do not include the purchase price of the property but do include the cost of an appraisal, the buyer’s credit report fee, the cost of a title search, title insurance and recording and processing fees. Buyers and sellers typically each pay a portion of the overall closing costs. Sellers, for example, customarily pay the commissions paid to the real estate agents involved in the sale. Closing costs also are called ‘settlement’ costs. FHA, VA and USDA. FHA is short for Federal Housing Administration, an agency that is a popular source of low-down payment home loans. VA is short for Veterans Affairs, an agency which also has a popular home buying program for military personnel and veterans. 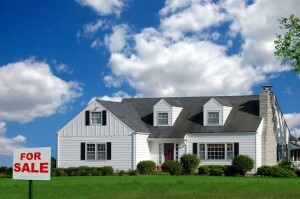 The USDA – the U.S. Department of Agriculture – also has a low-down payment home loan buying program. These agencies aren’t actually providing loans to home buyers with minimal down payments; they are providing guarantees to encourage private lenders to do so. Ever heard the term ‘conventional’ loan? That’s simply a loan made without a government guarantee. GFE or Good Faith Estimate. This is a federally-mandated form that provides you with basic information about the terms of a mortgage loan for which you have applied and estimated costs for the home buyer in acquiring the loan. Truth in Lending statement. This form details all costs associated with making and closing a home loan. You’ll find your loan’s APR, or annual percentage rate, here. Is your APR higher than the rate quoted by your mortgage company? It’s okay. It’s typically higher because the APR takes into account not only mortgage rate but other costs associated with the loan you’re responsible for, such as origination fees and discount points. Origination fee. This is a fee paid to a lender for processing your home loan. It’s typically paid in the form of up to 1 percent of your total loan amount. Don’t confuse this fee with discount points. Each discount point, equal to 1 percent of the total loan amount, can be paid to lower your interest rate. Discount points are actually prepaid interest on your mortgage. The more points you pay, the lower your interest rate. Amortization Schedule. This handy document shows how much principal and interest is applied to each payment and illustrates the payoff process over the life of your loan. Pre-approval. If you’re shopping for a home, you’ll want to be pre-approved for a mortgage loan before making an offer. Pre-approval demonstrates to a home seller that you may take out a loan up to a certain amount based on your income, credit score and debt load. Pre-qualification is a much more cursory check by a lender and doesn’t mean you’ll actually get approved for a home loan. 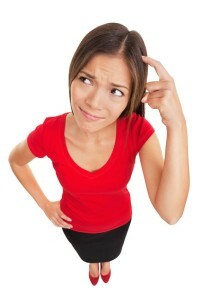 Do you have more questions about the home buying process? We’re here to help! You’re ready to move on. Maybe your house is too small, you’re moving because of a job, or you want to be closer to family and friends. According to the National Association of Realtors, those are the three top reasons for selling a home. Set a realistic price. Many home buyers want to ‘test the market’ by setting a high price on their home. But most buyers won’t even make an offer on a property that’s priced out of line with similar homes in the area. You definitely do not want to leave money on the table. But the strategy of setting a too-high price on a home just to see what happens isn’t a viable strategy. Properties with inflated prices stay on the market longer than average and often sell for less than homes that are fairly priced to start with. Don’t put up the sign until the house is ready. Even though you’re ready to sell, is your house ready to be shown? Fix the leaky faucet, repaint the dingy dining room and replace the broken front step before you list the house. You’ve lived with these annoyances for years, but these problems can distract a buyer. Make the house easy to show. Keep your schedule flexible. Although it’s inconvenient to tidy up on a Tuesday night, it’s in your best interests to make it as easy as possible for people who may want to purchase your home. Leave home. When buyers view your house, you should be anywhere but at home. Prospective buyers will feel uncomfortable looking through a home when you’re present, and they want to be free to discuss the pros and cons of the house without fear of offending the owners.